A puppy’s mind is fully capable of learning at an early age, so there is no need to consider putting off his or her education. What we do need to consider is how that education happens. My puppy controls when we move ahead to the next level of difficulty in our training by the success he’s having with the current level. And that success isn’t defined by a level of precision or accomplishment, but rather by the fun being had by both the puppy and me. Everyone learns best when they are having fun, and that includes our dogs. Let’s take a look at what should be one of our dog’s basic behaviours, the retrieve. If coincidences are in your favour, your puppy may learn to chase the toy, pick it up, and run back to you as fast as he ran out to the toy. Unfortunately, that’s not always what puppies learn. In the video below, take a look at puppy owners trying to play fetch with their dogs. This is just funny … but if you live with a dog who is not bringing the toy back, it can be extremely frustrating. We always want to eliminate our frustration with our dogs to set up our relationship to be all that it has the potential to be. I put this video together to show you not only the layers that go into teaching a puppy a retrieve but also the layers I train for any behaviour with my puppies to create both a well-behaved family pet and a brilliant competition dog. If you leave your puppy’s learning totally up to unplanned coincidences, you’re really rolling the dice with their future, whether that’s with less important skills like not bringing you a toy when you ask or the potential life ending one not coming when you call. Life is much easier, and your relationship with your puppy far less frustrating, when what your puppy is learning is strategically planned in your training rather than left up to chance. In the video above, I show you how I manipulate the reinforcement for a young puppy, so that what appears like a coincidence to him is actually a very fun strategic interactive game that I’ve planned. 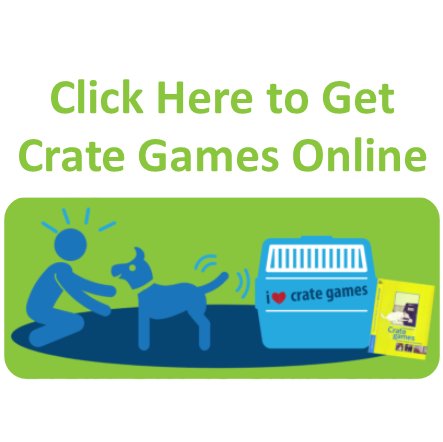 The puppy had the foundation of Crate Games, which is suitable for dogs of all ages… puppies, rescues, older dogs, or new to you dogs. The layers of learning allowed a barely four-month-old puppy to play through all five key layers to a brilliant retrieve done within a four-minute fun-filled learning session. I incorporate each of these five important elements of a brilliant retrieve as a way of life for my dogs. Sit and Wait While Toy is Thrown – We achieve this very important element, the drive to WANT to wait in a control position through any distraction with our Say Yes Foundation Game: Crate Games. Spin Back Toy Pickup – The key to getting your dog to bring the toy back QUICKLY and straight to you begins with the enthusiastic way the dog picks up the toy and whips his head around to drive back towards you. The spin back pickup is the back bone of the fast retrieve. 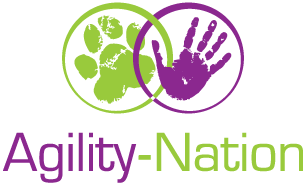 Speedy Return – Having the dog ﬂy back to you once he has picked up his toy is achieved through our foundation games of “CHASE ME!”. The element of chasing you helps to create a strong association for the dog between YOU, his TOY and his JOY! Deliver Toy to Hand – An outstretched hand will always greet the dog! We want our dogs to always know that the game starts and ends with the toy in our hand. Your dog might already love a game of fetch, if so, you can play games within the game of retrieve, which will allow you to build other skills within a framework of fun. If you have a dog who might not tug just yet, you can get a start on this by creating a motivating toy. If you are not sure why you might want your dog to enjoy a game of tug, check out my blog post ‘Improve Your Dog Training By Playing Like A Dog‘. And if you do enjoy tugging, remember to be mindful of the duration of your tug sessions. Have you tried teaching your puppy or dog a retrieve, or want to? Share your story with us in the comments below. Today I am grateful for all the fun my dogs and I have with retrieve games in all we do together.